The SNAICC National Conference is one of the largest conferences of its type in the southern hemisphere attracting attendances of around 1000 people. The For Our Children conference is hosted by SNAICC – National Voice for our Children (SNAICC). The conference is convened to assist with the achievement of the SNAICC vision: an Australian society in which our communities are empowered to determine their own future; where the rights of our children, young people and families are protected, our cultural identity and achievements are valued, and our children and families have access to culturally appropriate services.  To celebrate Aboriginal and Torres Strait Islander cultures, strengths and successes in child and family services. To share our stories and ideas about what works and how we address our challenges. To listen, learn and grow our knowledge of Elders, families and communities, to strengthen our connection to culture. To inspire, foster and develop leadership and collective responses. To inspire and enable leaders, services and others to act in a way that strengthens Aboriginal and Torres Strait Islander agency, self-determination and connection to culture. To ensure the rights of our children and families are respected and fulfilled. The conference program includes keynote speakers and over 70 concurrent sessions including papers, workshops, yarning circles, displays, poster presentations and exhibitors. Special events and performances are also included as part of a cultural program. Representatives participating come from a variety of agencies/services including those working with Aboriginal and Torres Strait Islander children, child welfare leaders, practitioners, policymakers, researchers, government and others working in Aboriginal and Torres Strait Islander services. The 7th SNAICC National Conference was held at the National Convention Centre, in the lands of the Ngunnawal people where Canberra’s name is derived from the Ngunnawal word ‘kamberra’ meaning ‘meeting place’. The 7th SNAICC National Conference brought together over 1100 delegates from across the country who shared and reaffirmed their commitment to improving the lives of Aboriginal and Torres Strait Islander children. Delegates called for urgent action to ensure our children grow up safe, healthy and strong in their families and communities. The 2015 SNAICC Conference was the first conference to be held at Perth’s Convention Centre, located on the northern bank of the Swan River in the land of the traditional owners, the Noongar people. The conference attracted over 1000 attendees from across the country and was our first biennial conference from what was originally a triennial gathering. There was representation from all states with a diverse number of organisations participating, including over 50 per cent participation from Aboriginal and Torres Strait Islander organisations and participation from many not-for-profit and government organisations and agencies. The 5th SNAICC National Conference was held at the Cairns Convention Centre in early June and built on the success of the last conference. The conference attracted attendances of over 1100 people from around the country, making it the largest SNAICC conference to date. The 2010 Alice Springs SNAICC National Conference was a great success, attracting a capacity audience of 980 delegates from all states and territories. 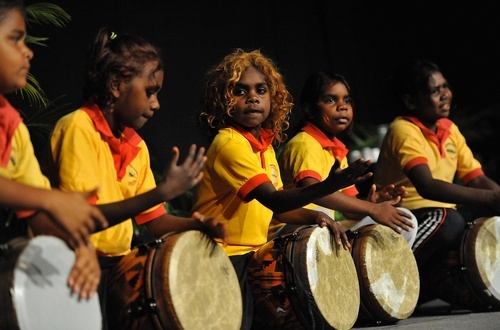 The large number of delegates made it the biggest ever conference on Aboriginal and Torres Strait Islander children. This leant the conference a real sense of occasion and gave significant weight to the issues that were discussed and debated. Importantly, there was stilll a sense of intimacy where delegates could make personal and professional connections with each other. The venue, location and programming of the conference allowed these two factors to work together. The inaugural gathering that led to the shaping of today’s SNAICC Conference was in 1979 at the First Child Survival Seminar, which was held in Melbourne, where delegates called for the setting up of a national umbrella organisation to assist Aboriginal and Islander Child Care Agencies. In 1981 a SNAICC Conference Statement of Purpose was formulated, however it was not until 1997 that the conference took its shape as the SNAICC National Conference in Townsville followed by a conference in Melbourne (2003), Adelaide (2007) and Alice Springs (2010). The SNAICC National Conference now runs as a biennial event.